The TSP Clinical Negligence team has recently settled Mr Z’s Claim. Mr Z, a retired gentleman, had undergone knee replacement surgery, receiving 2 new knees. Mr Z’s knees became infected following his surgery but the infection was unfortunately not picked up by the hospital. The infection became so bad that Mr Z had to have both replacement knees removed. He then spent 12 months on crutches, without knees, waiting for the infection to be under control before 2 new knees could be fitted. Once fitted replacement knees have a finite life (approx 15 years) and there is usually only one opportunity for revision surgery, which Mr Z has already undergone. The claim for compensation did not include any damages for loss of income as Mr Z was already retired when he underwent the operation. 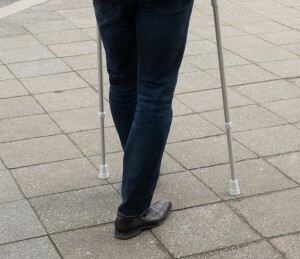 The payment was entirely for the pain and suffering he experienced and the extensive care that he needed during the 12 month period when he was on crutches.